Once again market will in the hand of futures trader, Jobless claim and Spanish 10 year and 2 year bond auction will decide about tomorrow stock market fate. The earning season has begun with very low expectation. Most of the stock have beat the low expectation yet the stocks have tumbled 5-8%. At the same time if the future guidance is high, stock have rallied 5-8%. This kind moves looks attractive with quick gain of 5-8% but the risk of losing same % overnight is also very high. 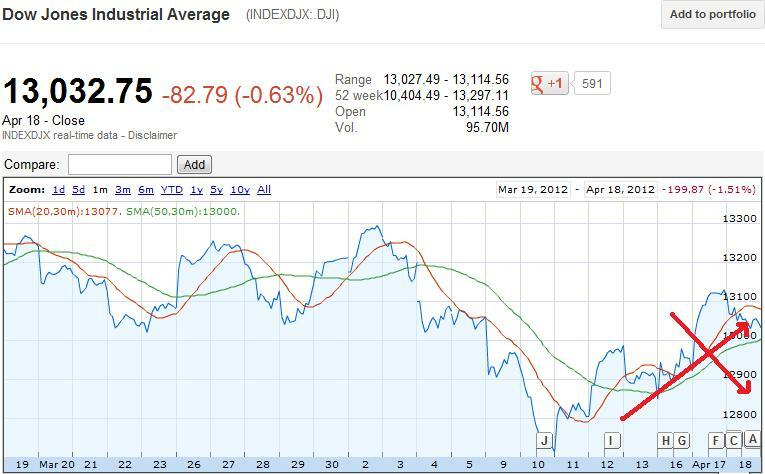 The chart of Dow and S&P500 looks very interesting as its close breaking 50 day MA. A bad spanish auction could lead to very big sell off while a good auction could provide support stock could go higher. The first level to check for tomorrow in Dow for upside is 13056 followed by 13077 which is important break point for the upside. While for the downside, Dow needs to break 13007 followed by 12974. The first level to check for tomorrow in S&P500 for upside is 1388 followed by 1394 which is important break point for the upside. While for the downside, S&P500 needs to break 1380 followed by 1378. Dow close to 50 day MA a breakpoint downside could lead to big sell off. Remember this Sunday there is election in France. 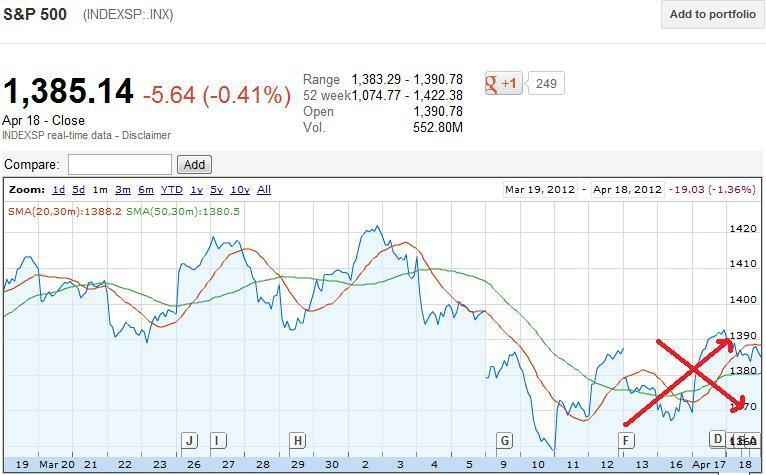 If Sarkozy loses, stocks will sell off. If Sarkozy wins, stocks will rally.